Have you sat down and watched it? The culmination to five seasons of Marvel’s Netflix shows ends with the Defenders. It’s been a long road and we’ve gone through some good times and some bad times. Now that we have had the proper amount of time to digest, rewatch, digest, and rewatch some more, in retrospect I thought I would show you some of the Defender teams that have come and gone over the years. Keep in mind that just about every super hero in the Marvel has actually been on the Defenders at one point in time so you might find some surprises there have been over the years! In their latest comic iteration, this time it is clearly a way to push and market the show. 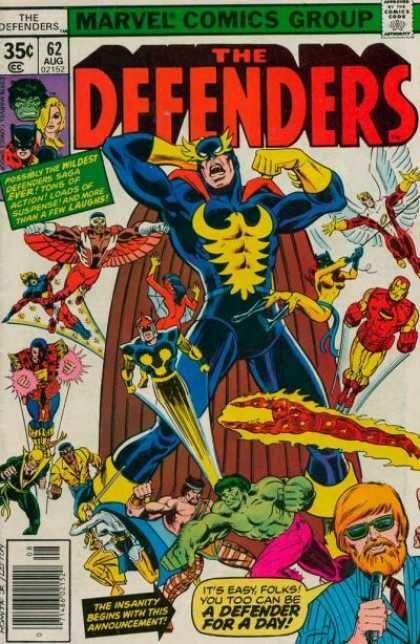 It’s not necessary a bad time, but not what I consider a classic team of the Defenders. All the members also have been part of the Avengers in recent years. To the non-comic book fan base this is what the Defenders looks like. Dr. Druid, Spider-Woman, Spider-Woman(? ), Cadaver, and US Agent consist of one of the Defenders teams of the 90’s. Dr. Druid is one of those character that has never ever been used very well. After the issues in the Avengers book, you would think Marvel had learned their lesson. Two Spider-Women is simply overkill. What or who is a Cadaver? This is possibly one of the worst teams ever assembled. 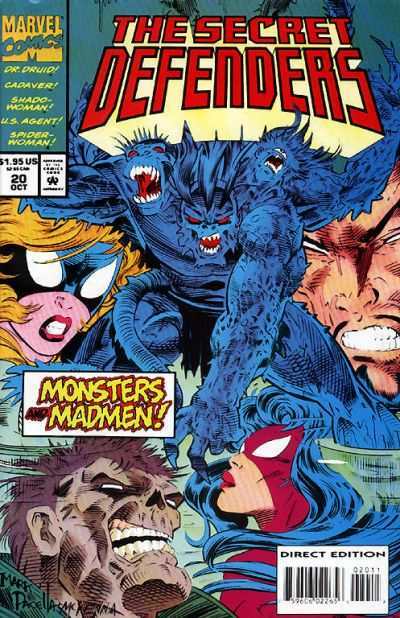 The Defenders took a hard hit in the 90’s with this title, but it is still part of their history. I can say I don’t truly dislike this version of the Defenders, but I think it still lacks some of the core Defenders characters and traits that makes the Defenders such a unique team. 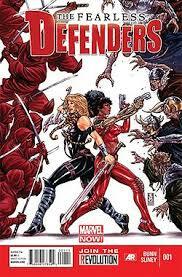 Valkyrie and Misty Knight sound like a solid idea, but it because it’s the female version of the Defenders, it reminds me of Birds of Prey. The book launched after the Fear Itself series which is why it’s titled Fearless and didn’t last to long. 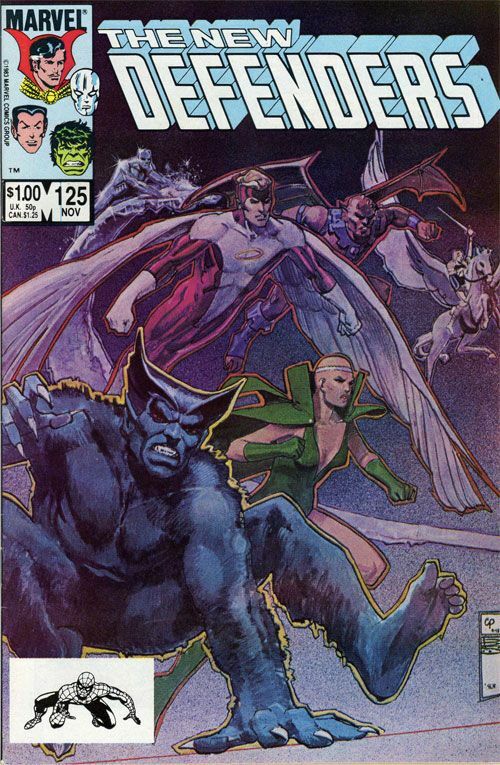 This team consisted of Beast, Ice-Man, Angel, Moondragon, Valkyrie, and Gargoyle. So we almost have an X-men reunion of more of a relaunch of The Champions. This is another waste of paper. It was such an odd team-up. Everyone knows Moondragon does not play well with others. This run on the original book did eventually cause the cancellation of the comic. It’s shame too because most of the issues had beautiful Bill Sienkiewicz cover artwork. 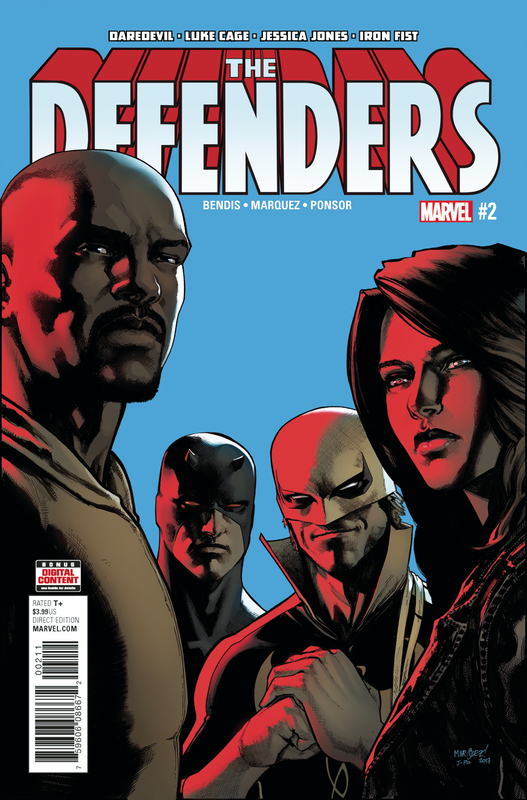 This version of the Defenders is much closer to the core team. It was a mini-series in 2005 that highlighted the talents of Keith Giffen and Kevin Maguire. They were known more for revamping the Justice League in the 90’s. You could say that it’s the thought that counts, but the tone of the book was soooo far the from the feel of the original comic. Let’s just say the Hulk gets into a situation that was very becoming of his stature. 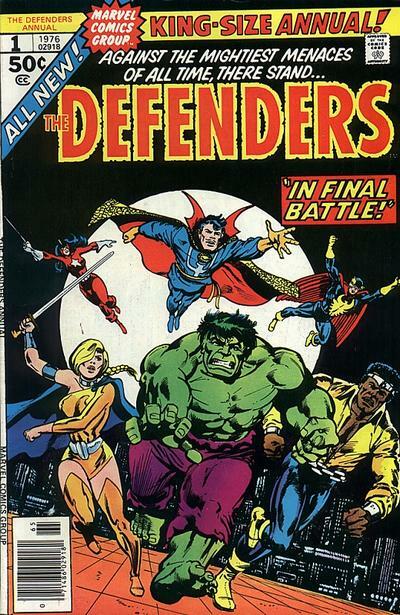 Issues 62-64 of the Defenders saw one of the largest team-ups ever put together. Every Marvel super-hero was invited to be a Defender for the day. There was a nice cash prize for showing up for the day as well. The downside just every villain in the tri-state area showed up along the way, granted they all got their butts kicked. It was such a fun book to see all the heroes coming and going. It was also a common theme for the book to have guest stars almost every month. 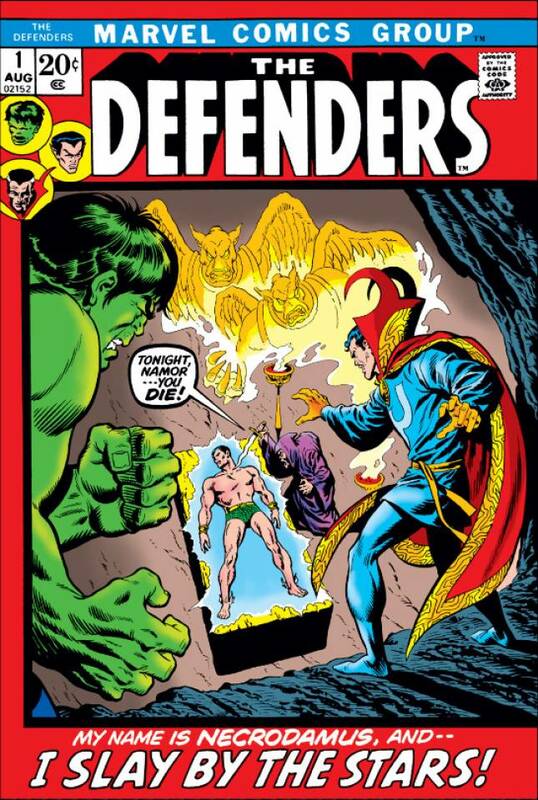 The original team-up of The Hulk, Doctor Strange, and The Sub-Mariner was the core of the Defenders. Talk about a team that was heavy with muscle. Hulk and Sub Mariner are powerhouses in their own right who were quality choices for a team-up. The addition of Doctor Strange was a wise choice since he had to keep the team in check. The team was solid, but needed a much need addition. 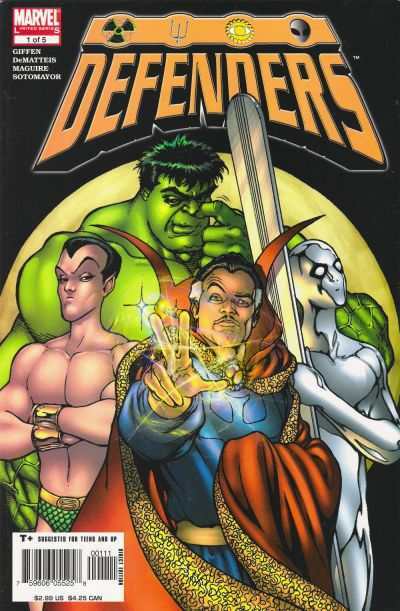 While Namor tended to leave the Defenders from time to time, Hulk and Doctor Strange remained the core of the group. They added Valkyrie, Power Man, Nighthawk, and Red Guardian to fight evil. The downside was that 7 was too many Defenders to make the group a solid team. The team definitely works better as a tighter, smaller squad of characters. They’re not the Avengers after all. The Hulk and Doctor Strange continued to be the core of the group, minus The Sub Mariner. The addition of Valkyrie added a god like power that added to some of the oddity of the groups dynamic. She was the group’s version of Thor. Nighthawk was a brash character who was hot-headed but intelligent. He helped mirror the likeness of Iron Man. The four would stay primary in most of the series. They were victorious through a great many battle, but sadly didn’t see the end of the series.